The website of the Ministry of Foreign Affairs of Ukraine has published information on the rules of entry into the occupied territories of Azerbaijan for Ukrainian citizens, AzVision.az reports. The precautionary message states that illegal visits to the Nagorno-Karabakh region of Azerbaijan and seven adjacent areas - Agdam, Lachin, Kalbajar, Gubadli, Zangilan, Jabrayil and Fuzuli districts are strictly prohibited, and visits to these territories can be made only with the permission of the Azerbaijani authorities. In a contrary case, Ukrainian citizens violating the law will be declared persona non grata and will be denied entry into the country. 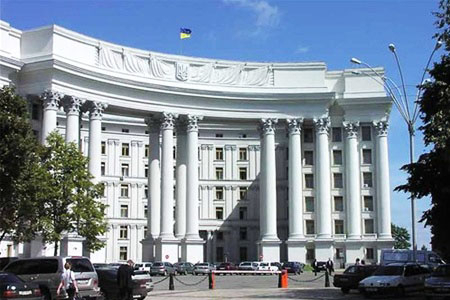 The Ukrainian Foreign Ministry also stated that it is strictly forbidden for individuals and legal entities to engage in commercial activities in these territories without the permission of the Azerbaijani government.